Starred as a child actress during her very young days and released a record as an enka singer in junior high school; however, took a break from music and show business after that. When she became a junior in high school, began taking interest in blue grass and country music and took up music again. Was scouted by a live music bar and made her debut as the vocalist for Le Couple in 1994. Their 1997 release, “Hidamari no Uta”, sold more than 1.8 million copies. 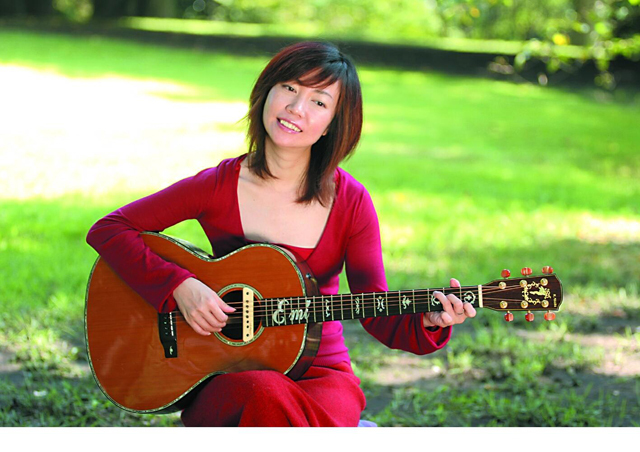 In 2001, began her solo project and with the concept of “an album that would put you into a blissful sleep”, she began releasing the chamomile series, a series of cover albums, became popular in Hong Kong and spread throughout Asia. In Korea, several of the songs were chosen by 21 companies to be used as TV commercial songs. The series has earned Gold Disc in Honk Kong and Taiwan, and Platinum Disc in Singapore and Malysia. It has sold more than 350,000 copies in 10 Asian countries and has been referred as the “medicine you listen to” and “Nightingale song”.